Steven (Chicagoland, United States) on 14 March 2019 in Plant & Nature and Portfolio. 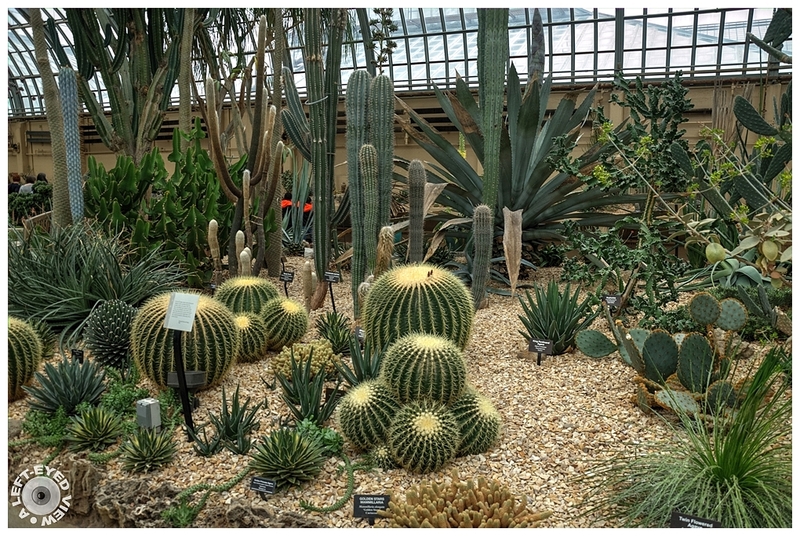 The Desert House at the Garfield Park Conservatory in Chicago holds one of the region’s most varied collections of cacti and succulents. These plants owe their popularity to their spectacular and unique forms, the promise of brilliant, short-lived flowers and their ability to withstand harsh, dry conditions. The size of the plants in this room varies from the tiny living stone plant to the large century plants. Magnificent collection of plants that are not lacking in spiciness. Superbe vue sur les cactées, j'aime ces plantes. Le paradis de ceux qui comme moi aiment les cactées. Very nice collections of these plants. Excellent capture. what a beautiful capture of this fine collection of prickly plants! Magnífica vista de cactus y suculentas... Buena jornada. This is like a paradise for cacti. That's really what the picture says. Good photo and title. Great composition , very interesting . Beautiful details in those cacti! The desert house is very interesting looking. I would like to visit it. a superb collection here ! Beautiful image and details..Great capture ! Très belle collection de cactus. Such a lovely variety in this big beautiful room. I especially like the looks of those ball shaped cacti. Wonderful desert plant display from all over. All of these plants from all over the world definitely make an incredible garden. I love it! What a lovely grouping, Steven. I have always been drawn to succulents, especially after living in California for 12 years! Cacti have truly spectacular shapes. Great composition and very interesting "family". What a nice variety of cacti !! Lovely shot... They have a nice display! Certainly good conditions for the cacti, Cacti Heaven! This looks like my neighborhood.